Which Types of Cells Divide by Mitosis & Cytokinesis? Cells, the basic building blocks of living things, must multiply in order for the parent organism to grow and repair itself, among other things. In order for cells to multiply, they must divide. The physical process of cell division is called cytokinesis. Cell division would be pointless without co-occurring reproduction of the cell's genetic material because each daughter cell needs a full copy of the organism's genetic code to be able to do its job. Cells reproduce using a process called mitosis. Cells in all living things undergo cytokinesis; only eukaryotic (animal) cells undergo mitosis, the beginning of which precedes cytokinesis in cell division. Mitosis refers to the reproduction of a cell's genetic material; in other words, its chromosomes. This material is in the nuclei (singular: nucleus) of cells. Before the material can be incorporated into daughter cells, it first must be replicated, or copied. Mitosis thus includes a replication followed by a division, but it is important to understand that the division portion of mitosis results only in daughter nuclei, not whole daughter cells. Mitosis is divided into four phases: prophase, metaphase, anaphase and telophase. 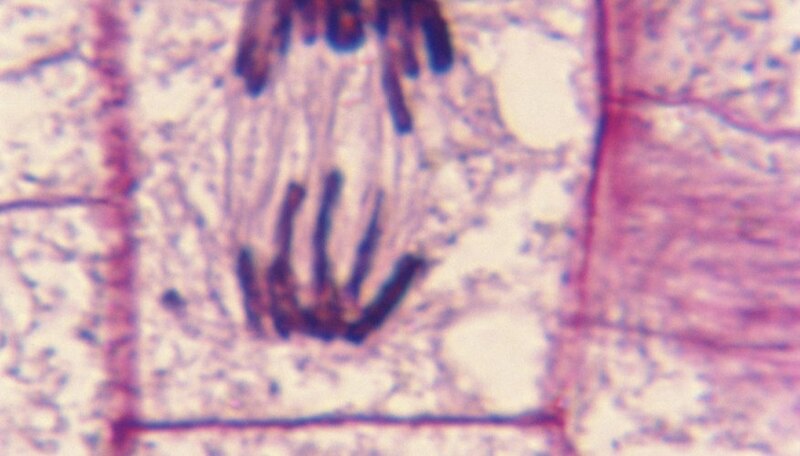 In prophase, replicated chromosomes in pairs condense and make themselves more compact. Also, a structure called the mitotic spindle forms from proteins called microtubules on each side of the cell. In metaphase, the nuclear membrane is degraded, and the mitotic spindle extends inward from the edges of the cell to link through the centromeres joining all of the chromosome pairs. In anaphase, chromosome pairs are pulled apart at their centromeres. These separated chromosomes are then dragged by the spindle to opposite sides of the cell. Anaphase guarantees that each daughter cell will get an identical set of chromosomes. Cytokinesis starts during this phase. In telophase, a nuclear membrane forms around each new set of daughter chromosome sets. At the same time, the process of cytokinesis is completed. The cytokinesis definition is the division of a parent cell's cytoplasm into two daughter cells. It begins in the anaphase of mitosis and ends in its telophase. It is possible to define cytokinesis in terms of discrete phases, since the process, like mitosis, may be divided into four stages: initiation, when the outside of the cell begins to pucker inward; contraction, which is powered by proteins similar to those found in muscle; membrane insertion, when a cytoplasm is placed around the two almost-separated daughter cells; and completion, when cleavage is complete. Animal and plant cells undergo different types of cytokinesis because plant cells have cell walls while animal cells have only cell membranes. Plants lack centrioles, and bacteria lack both centrioles and spindles, so when it comes time for these types of cells to be cleaved in two, the process is less strictly coordinated. In bacteria it is merely called fission. In plants, a structure called a cell plate forms along the metaphase plate, whereas in animals there is a constriction, or puckering inward, of the cytoplasm. Beck, Kevin. "Which Types of Cells Divide by Mitosis & Cytokinesis?" 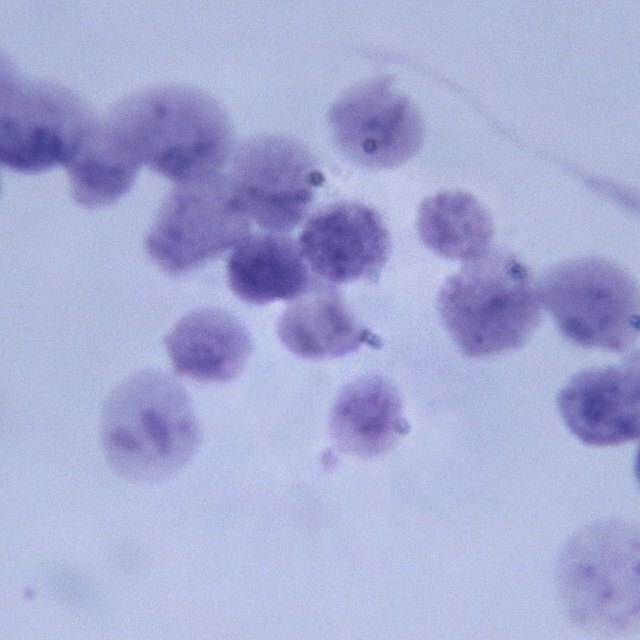 Sciencing, https://sciencing.com/types-cells-divide-mitosis-cytokinesis-10727.html. 02 August 2018.